I now have DNA testing results from three of the major DNA testing companies: FamilyTree DNA, AncestryDNA and GPS Origins. They each use autosomal testing (taken from both my father’s and mother’s DNA). Additionally, FamilyTree DNA also uses Y DNA testing (male line) which is very precise – but is only for the male line. All of the DNA companies now have autosomal testing to appeal to all genealogists. My personal favorite DNA site had been FamilyTree DNA because it gives me my exact DNA signature (Y DNA test result) along with the autosomal test results. Let’s see if my opinion has changed. How do the autosomal tests from FamilyTree DNA, AncestryDNA and GPS Origins compare? 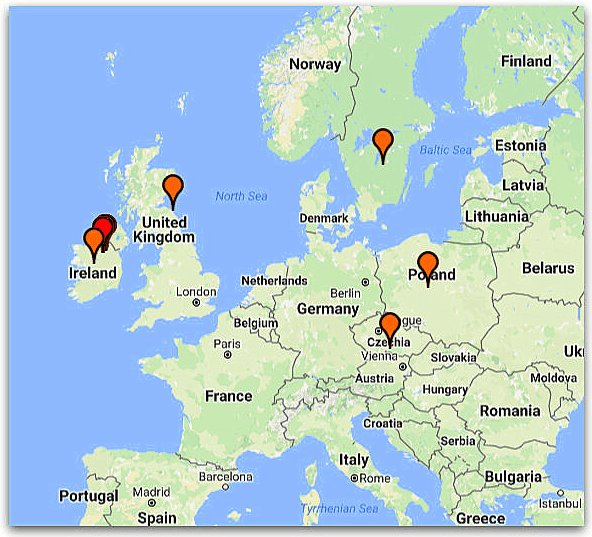 FamilyTree DNA found DNA matches for me in the UK, Sweden, Poland and the Czech Republic. Because FamilyTree DNA additionally offers a Y chromosome DNA test, it can also tell me the exact degree of relationship (based on DNA markers) for these Kemp DNA cousins it found. Per FamilyTree DNA, I now have “known” cousins from the Czech Republic, Poland, UK, etc., and their contact information. These individuals were identified because they also took the FamilyTree DNA test. FamilyTree DNA does not have my family tree information – it made these matches based on its DNA testing. Big win. OK – this is good. FamilyTree DNA pointed me in the right direction and reliably found me “cousins” based on my DNA results. I rate this a solid success. This is exactly what my personal genealogical research and long-held family traditions have shown. I have traced my Kemp ancestry from Connecticut to County Cavan, Ireland – to East Lothian, Scotland – then to Kendal, England, and back from there to Flanders in Belgium in the 1300s. Notice that the AncestryDNA test gives a 2% shout-out to relatives in Finland/Northwest Russia – noting that it is “also found in Estonia, Latvia, Sweden [and] Lithuania” and a 1% finding for Eastern Europe “Primarily located in Poland, Slovakia, Czech Republic” and 14 other European countries. That’s a lot of possibilities – but, as we see in the GPS Origins DNA test results, those countries are critical to my heritage. So, both FamilyTree DNA and AncestryDNA are pointing me in the same general direction. OK. Let’s look at the GPS Origins DNA test results. GPS Origins’ interpretation of my autosomal DNA test was more precise then the other two DNA test companies. It stated explicitly that my family origin was from the Czech Republic (today’s geographic reference point) and, before that, Latvia/Belarus. GPS Origins explained why my DNA is found in multiple countries over the last 3,000 years. Now we’re getting somewhere. Notice the twin migration routes in GPS Origins, with migrations going toward Finland and down to Spain. This is a good fit with the results from the other two DNA companies – but critically, GPS Origins explained the when and where these migrations occurred. It showed me when/where parts of my ancestors – my “tribe” – moved from Latvia/Belarus to Scandinavia and also down to the Czech Republic, then on to Flanders, the UK, and ultimately down to me. My father always wanted to know where our family came from “before that.” Over the years, I would have breakthroughs in our family history – pushing the family back in time, tracing them from Ireland to Scotland, down to England and over to Flanders, Belgium. He would then always ask me: “Where were we from before that?” The problem has been that there is no paper trail taking me to “before that.” Over the years, I brought him dozens of books on the Celtic and Germanic migrating tribes, and the history of the peoples going back before medieval times, so that he could study our possible origins. I have the paper trail – and now I have the DNA results. 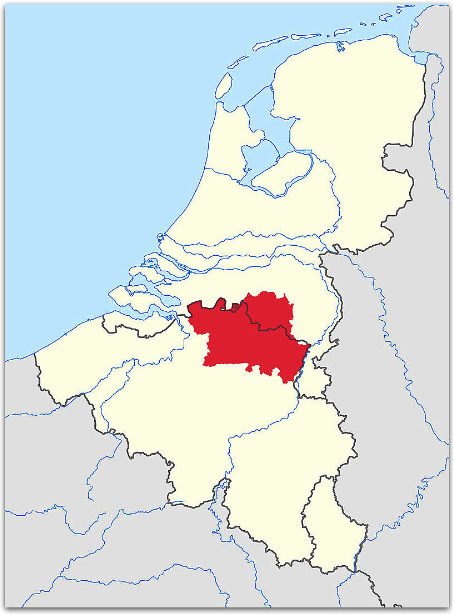 There is a large area in Flanders called Campine (pronounced Kemp-in), pictured in red in the map below. Map of de Kempen (Belgium and the Netherlands). Credit: Mystro82; Wikimedia Commons. I have assumed/believed that is how we got the surname Kemp, taking our surname from the place where we lived in Flanders – or from the ancient Cempsi (pronounced Kemp-see) Celtic tribe that settled there as it migrated south into the Iberian Peninsula. Wait – before you laugh me out of the room, let me ask you a question. Have you ever heard of Thomas Hermerken (1380-1471)? What if I told you he was also known as Thomas à Kempis? He was born Thomas Hermerken, but became known in history as Thomas à Kempis (Thomas “of Kempen”) after his home town of Kempen – now in Germany. That area was historically part of Flanders – just a few miles from the Campine region of Flanders. Thomas Hermerken, as a Medieval canon and scholar of the Catholic Church, followed Catholic tradition during his career in the Netherlands and went by his first name: Thomas. To distinguish him from others with that same first name, he used his hometown and rendered it in Latin: Thomas à Kempis. Could it be this simple: my distant “Kemp” ancestor took on the surname Kemp – Kempis – Cempis – reflecting where he lived in the Campine, Flanders, area of Belgium? I know that is where he was from. Or, was he a descendant of the Cempsi Celtic tribe – and his surname derived from his Celtic tribal heritage? Was the Campine (Kemp-in) area of Belgium named for the Celtic tribe: Cempsi (pronounced Kemp-see) tribe? Note that, according to the Celtic Encyclopedia, the Cempsi tribe moved from the Czech Republic area to southern France and Spain in about 900 to 600 B.C. – exactly what GPS Origins described. “Around the 6th/7th century B.C. 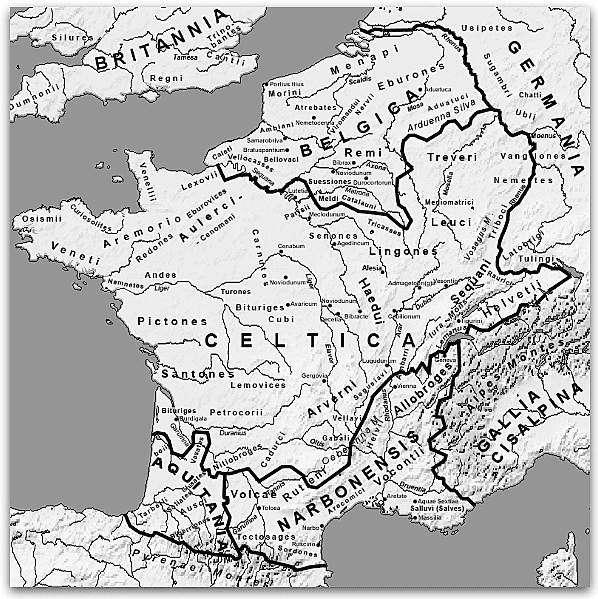 factions of the Cempsi (Celtic tribe) migrated west through Holland, Belgium and along the French Atlantic coast (Gaul). 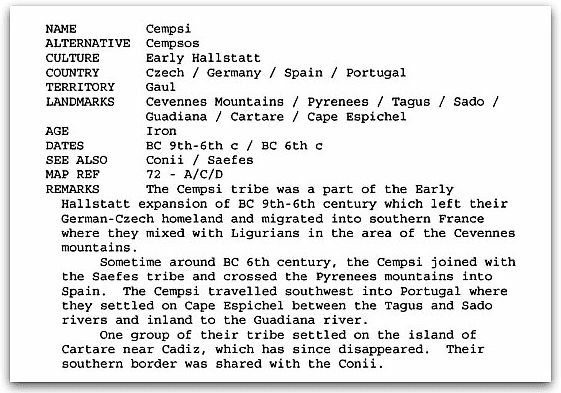 Then turning south, they arrived in Hispania.” Posted to Camp & Kemp FamilyTree DNA website. Map of Gaul, 58 B.C. Source: Wikipedia. Is this nothing more than wishful thinking – mere speculation? It could be – but until DNA testing is finer-tuned, this is an interesting direction for us to look further into as we study a time long predating surviving paper and other records. It corroborated FamilyTree DNA and AncestryDNA test results, and took them much further back in time by giving me more precise information about my family history – matching exactly with our family traditions and my research. I am looking forward in the decades ahead to DNA enhancements to further define these conclusions and my speculation. Are you interested in giving GPS Origins a try? So cool. I wish I knew where my Kemp ancestors came to Virginia from. It took long enough to just find them in Virginia. I have done the other sites DNA testing but not sure I am ready for GPS Origins. Fran – tell me more about your Kemp line. I was contacted by a cousin after he had a test through Ancestry. He shared his results with me. There was no mention of Native American, despite family history and documents. This makes me a little sceptical of the DNA testing. You might have your cousin give GPS Origins or FamilyTree DNA a try instead. As a scientist, and particularly as one who made policy decisions based on scientific results, I was taught to be very careful not to confound “precision” with “accuracy”. We are often predisposed to interpret results in terms of what we expect to find- and a paper trail can do that. I believe that the state of knowledge about both genetic relationships and migration routes is still too unclear to do this kind of analysis. Certainly it is fun to speculate. But results really are dependent not only on the data set- still pretty skimpy- but also on how that dataset is interpreted with the knowledge we have now. obth data and the assumptions used to define it can change rapidly with new discoveries. I’d say that at this stage, finding DNA results that confirm what we expect is a little bit like the old genealogists who found the name they were looking for, not realizing that others with the same name existed in other places. I think it is too soon to be drawing lines from one place to another on a personal basis just yet (except as an entertaining parlor game). Wait until there is a large enough body of data to show a significant pattern – or reveal that what looked like a pattern is not, after all. Great article about your family history and how the DNA test confirmed your paper research. Did you receive a complimentary test kits from any of the these companies prior to your review? Tara – I paid for multiple levels of testing from FamilyTree-DNA and also paid for the DNA test from AncestryDNA. GPS Origins offered me a complimentary test to give it a try – so I thought – why not. I have no regrets about paying for the multiple levels of testing or for testing with multiple companies. I am so intrigued by the results I am planning to purchase test kits from other companies to see what insights they have as well. Hi Annie – yes it will be interesting to see how this plays out. I was a DNA skeptic until I got the results from our Y Chromosome test. As others around the world took that test we began to find cousins that I never knew existed sprinkled around the world. Fortunately some of them had paper records that also documented the links to our mutual family tree. Those results changed my thinking on this – and now I am digging deeper using the testing of multiple countries. 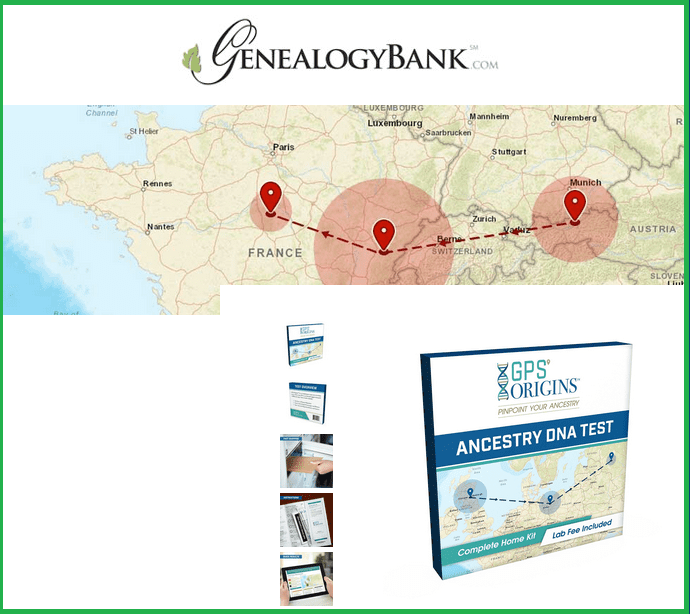 I was intrigued at GPS Origins statement that they offer “a new ancestral tracking technique to pinpoint more precisely where your DNA began.” I am intrigued with their results – and glad that I am participating. It will be interesting to see how the ability to analyze DNA tests improves over the next 10 years and what the impact will be as DNA testing becomes the norm for medical, health reasons. It’s a great day for genealogy! Our first venture into DNA testing was a complimentary YDNA on my brother with Family Tree as a member of our surname group wanted to see where we fitted in. Well, we don’t and one explanation is that our family was baptised by a Celtic saint and they took his name. The results were used to compare with Geographic migration patterns and fits our story and paper trail. Next, I took an Autosomal DNA test with Family Tree and found my origins were also interesting. The first close match on my list is a cousin I know. As I had sent in five generations of our research up came a message from a NZ cousin, whose cousin was a close match. They had our great-great grandmother’s name in their trees but didn’t know what had happened to her. We sent her story, descendants and some photos and in exchange received confirmation of our great-great grandmother’s parents plus grandparents, siblings and their descendants. More is coming from their research. One brick wall broken through. Now, our stone wall looks more likely to be smashed so if we could just find the family or even just the birth her husband John Jones, son of John Jones it would be worth the cost and wait! Now I have just sent off cells for my FamilynTree Mitocondrial DNA test and waiting for the results. In the meantime, I will be sending our results to as many reciprocal sites as possible to see what else we can learn. Congratulations on your success Marg. Please keep us posted on your insights as you receive more of your family DNA test results. Amazing! As Kemps we seem to be traveling along the same paths. I did My A-dna through Myheritage and results were British and Irish, Scandinavian (Norway, Denmark and Sweden), North and Western Europe, (Germany and France), Central Asian, and South Asian. Genealogy speaking I traced my Kemps, a few in America. My mother born Kemp, and our family in England, etc. I am now waiting on MtDNA testing from FamilyTreeDNA. GPS Origins sounds intriguing. I may go there next, depending on what my MtDNA results tell me. Interesting Helen – tell me more about your Kemp line. Seems expensive at regular price and even the special price in much more then the other labs charge. The price needs to come down even more before I would consider GPS. I have tested at the other 3 labs and after careful review found they had many results in common. A lot depends on what you are looking for. Many people are searching for possible cousins so they may consider the lab with the largest database the place to test. They can also take advantage of gedmatch to look for others who tested at a different lab then they did. Drop the price some more GPS and I will order a kit. Hi Paul – Yes, a lot to choose from. I plan to get tested with the other DNA companies to see the full range of results from all of them. I’ve been very pleased with what I’ve learned so far and looking to learn more. This article is very helpful. I too have Kemp ancestors from Cavan County Ireland. It does seem as if one needs to be tested by more than one company in order to get a complete picture. Hi Cousin – tell me more about your County Cavan Kemp connections. How long did it take any of you to get your kit in the mail? How does one avoid “guesswork” based on a person’s credit card information (full name)? Ancestry is owned by Amazon, a big corporate giant. How would you know if they were building a database? S. Nagy – Good to hear from you. FYI: Ancestry is not owned by Amazon. You will want to contact AncestryDNA to learn more about their future plans. hi family hanscom bowdoin-doyon and t.
Interestingly the various DNA companies themselves let you upload the DNA data from competitor companies … so you can easily compare both sets of DNA data. That information is only viewable by yourself. In the GEDMatch system you are asked to upload your complete family tree information (beginning with yourself) along with the DNA data for the DNA test you have taken. Your family tree and DNA history can then be compared with others who share their family and DNA data with that company. It is accessible to anyone in the world that participates. You will have to decide if it is a good idea to openly share your own birth date/data & your DNA data – along with your entire family tree information about the rest of your family with anyone in the world who registers for their site.